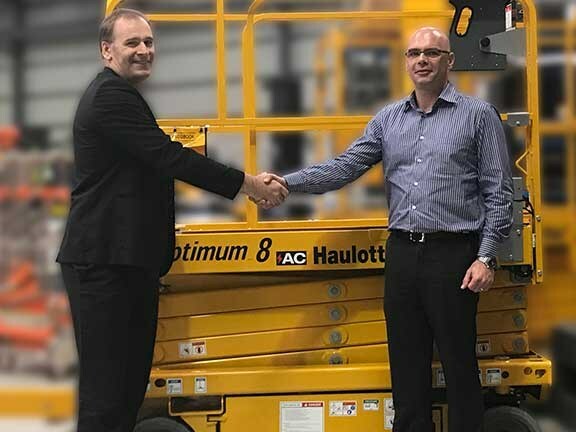 Aerial work platform (AWP) and lifting equipment group Haulotte Australia is celebrating its largest single order ever from equipment hire and service firm United Forklift and Access Solutions. The $26 million order came as United was looking to refresh its inventory of aerial access equipment, and covers the full range Haulotte including articulating booms, electric scissor lifts and telescopic booms. United Forklift has been working with Haulotte for around five years and the two companies have developed a close relationship. "United Forklift and Access Solutions is one of Australia’s largest privately owned forklift and access equipment companies with operations in all states," Haulotte Australia managing director Keith Clarke says. "United has the complete range of Haulotte products over eight ranges of products spanning 60 different models. "United also do a lot of retail sales of Haulotte machines via a substantial branch network extending across all of the major metropolitan centres as well as regional areas in Victoria and Western Australia," Clarke adds. The new machines will roll out over a 12-month period across United Equipment’s branches nationally as the company gradually replaces some of its existing fleet and hopes to use the new equipment to expand the business into new markets. 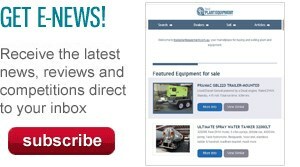 "Haulotte equipment is innovative and offers great safety features and new technologies customers are demanding," United Forklift and Access Solutions general manager Trent Osborne says. "All of that is backed by excellent services and support." Clarke says Haulotte Australia is committed to assisting United Equipment in the servicing and maintenance of the access equipment. "Haulotte is proud to be part of United’s quality equation," he says. "We are committed to the access equipment after-market with 24/7 emergency back-up, scheduled maintenance programs and readily available genuine replacement parts. "As well as our vast service network, we also provide and maintain a large spare parts division across Australia together with a dedicated major rebuild centre."